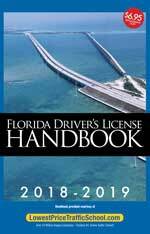 Everything you need to pass the Florida DMV Exam the first time... guaranteed! Almost half of our customers select a value package. Not only will you save a tremendous amount of money, but you will also receive our complete line of learner's permit courses designed for both teens and their parents. Includes the Drug and Alcohol Course required by the State of Florida, access to our DMV Practice Permit Tests and more! 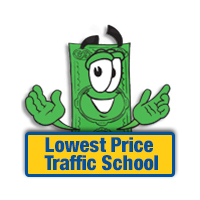 Lowest Price Traffic School is offering a $5 web-only discount on the Learners Permit Super Value Package during the month of July. Simply enter coupon code "SUPER05" when you check out. Discount does not apply to any other products and cannot be used in combination with other promotions. 20 multiple choice questions regarding the rules of the road. You must have at least 16 correct answers in order to pass and receive a learner permit. 20 multiple choice questions regarding road signs. You must have at least 16 correct answers in order to pass and receive a learner permit. When you turn 15, you are eligible to earn a learner permit license if you have completed a driver's ed course. You must hold your learner permit license for at least twelve months (or until you turn 18) before applying for a full license. Your learner license is valid for six years and is renewable. When you first receive your learner permit license, you are only permitted to drive from 6 am until 7 pm with a licensed driver 21 years of age or older occupying the seat closest to the right of you. After three months, you are permitted to drive until 10 pm with a licensed driver 21 years of age or older occupying the seat closest to the right of you. A learner permit does not give you the right to operate a motorcycle. What is the pass guarantee all about? We guarantee that after successful completion of our DMV Prep course, you will pass the Florida DMV written driver's license exam the first time. In the highly unlikely event that you fail either exam, you will be required to pay the DMV to take the test again. If you fail after completing our DMV Test Prep course, we will refund the cost of the course. If you qualify for this refund, send your receipt to LowestPriceTrafficSchool.com, PO Box 442288, Jacksonville, FL 32222. No Problem! Lowest Price Traffic School also offers the state required Drug & Alcohol Course at convenient classroom locations across Florida.